(Toronto, ON, March 9, 2011) – TELETOON’s “3 Hours of Awesome” programming block is moving exclusively to Sundays from 6 p.m. to 9 p.m. ET/PT, beginning Sunday, March 20. This block will kick off with the premiere of Adventure Time at 6 p.m. ET/PT and will showcase other popular TELETOON series Jimmy Two-Shoes, Johnny Test and Chowder and also becomes the exclusive place to find other TELETOON favourites Total Drama World Tour, Stoked, The Marvelous Misadventures of Flapjack and Camp Lazlo. 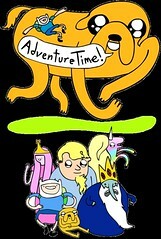 Following the premiere on March 20, Adventure Time will assume regular time slot of Sundays at 6:15 p.m. ET/PT. 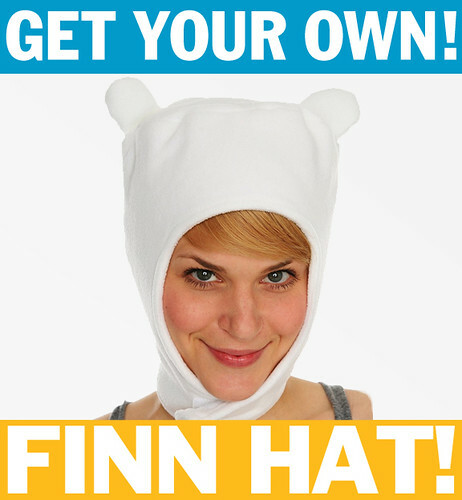 The series follows Finn, the human boy with the awesome hat and his friend Jake, the wise dog, as they embark on a series of strange and unique adventures in the land of Ooo. Whether it’s an Ice King kidnapping a princess or ninjas stealing diamonds from an old man, one thing is always certain – it’s Adventure Time! TELETOON is where cartoons live – all day, every day. Watched in over 7.9 million homes, TELETOON features heroic action shows, hilarious comedies along with hit blockbuster movies. Available in both English and French, TELETOON Canada inc. brings kids, youth and adults the best in animated and animation-related entertainment with four nationwide specialty television channels – TELETOON, TÉLÉTOON, TELETOON Retro and TÉLÉTOON Rétro – and select programming is also available On Demand, Mobile TV, iTunes and teletoon.com. Founded in 1997, TELETOON Canada inc. is owned by Astral (50%) and Corus Entertainment (50%). For more information, please visit www.teletoon.com.